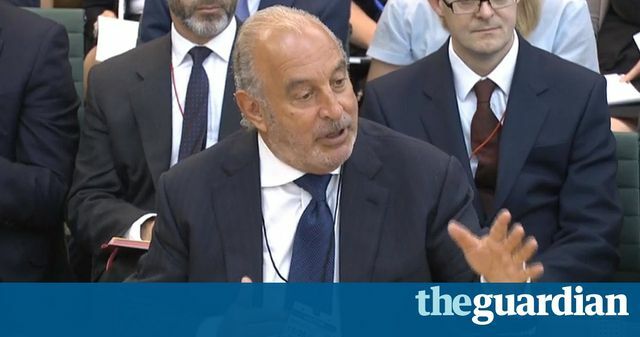 Former BHS owner Sir Philip Green was questioned by the Business, Innovation and Skills Committee and Work and Pensions Committee on the collapse of the business. Denise Fawcett, partner and insolvency specialist at Pitmans said: "Whilst many may consider that Green has a moral obligation to the scheme, there is little in any of the information that has transpired to date that would point to any legal obligation to the scheme. Should he care that BHS was sold to an ex-bankrupt with no retail experience who may not have had the best intentions for BHS? There is no obligation on the seller of a business to ensure that a buyer has the best intention for a business. The BHS scheme had a surplus when Green bought it in 2000. The way that schemes are valued and funded was changed by the Pensions Act 2004. Most corporates found themselves owing more to their schemes after that. And deficits have just got worse – actuaries have changed their assumptions as to mortality of members, legislation has been enacted about gender equality, pension scheme assets have generated less profit with low bond yields and poor investment returns; none of this is within the control of the employer. Before 2008 there was no deficit, the business was profitable. Profitable businesses pay dividends. After 2008, it was the job of the Trustees to get the right support for the scheme. There may be a lot of things about Green and his way of doing business that might leave a bad taste but it doesn’t make it illegal and it doesn’t mean he has to put his hand in his pocket. We will see in due course whether any skeletons appear when a few more cupboard doors are opened." The billionaire said he should have sold BHS earlier and that “stupid, idiotic mistakes” had been made about the pension scheme. “Nothing is more sad than how this has ended,” he said. In response to questions from MPs, Green said the financing of BHS was “not an aggressive finance strategy” and not excessive. He said that as much as £800m had been pumped into the business between 2004 and 2015. “We put all that back into the business and more,” he said.